Exceptional and rare Bastide built on the remains of a former farm in the late eighteenth century, with a total usable area of ? 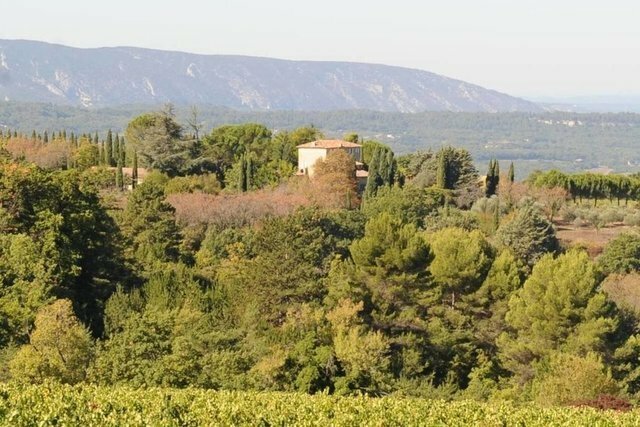 ?around 1,400 sqm, overlooking the Luberon valley. The property is located in the heart of an exceptional environment, situated on a former Celtic-Ligurian habitat where important archaeological discoveries have been made, kept in the Lapidary Museum of Avignon, and probably still continue to be made...Built on the rock, it is a quiet and solid property, whose main building includes beautiful reception rooms, huge lounge currently used for music instruments and plants, lounge with fireplace, formal dining room, office, large fitted kitchen, 4 en suite bedrooms, laundry room, staff room and cellars. A courtyard situated further down leads to a 5th bedroom for guests with a bathroom and a large storage room.To the West, the pool area (12 x 6 m with shutter) with its paved stone decks and a converted pool house (shower room, sauna, clock room, open plan kitchen with barbecue and large awning).A few meters to the East, a guests house with living room and kitchen, 2 bedrooms and bathroom, attached to a storage room of approximately 120 sqm and to an awning for 4 cars. Opposite, a large barn of 200 sqm.Private hamlet surrounded by rich and healthy land of 30 hectares, organically farmed for nearly 28 years. The property is protected by the surrounding woods with a discret wildlife. The land is cultivated partly in grain and fodder, which improve the quality of the soil during crop rotations. A 4-hectares Syrah vineyard, the only non organic part. Fields of almond trees, some fruit trees and 1000 olive trees, a great resource for the future ...Facing Mont Ventoux, the property is a unique balcony from which one can enjoy the quiet of the most authentically agricultural countryside, and the beauty of the wild Luberon.